Brilliant Football is a football (soccer) training academy which offers an inclusive environment where kids of all technical abilities are accepted and developed. It was established with a vision to provide families in Canberra and surrounding areas with a unique and affordable football (soccer) training experience for their kids who are between the age of 7 and 16, by focusing on developing the required age-appropriate technical skills that will make them better footballers. We are genuinely passionate about developing the football community in Canberra and we believe that the right way to do that is by providing kids with much more than just a safe and fun environment, but at equal importance, a carefully designed football training program based on the Football Federation Australia (FFA) curriculum and our long years of football coaching expertise. Brilliant Football coaching programs are overseen by a FFA/AFC B Licence qualified Technical Director; this ensures your kids develop the core age-specific football training skills, while experiencing a safe and pleasant football environment. A passionate believer in football, Talal’s experience spans across 30 years of playing and coaching career both overseas and in Australia. After thorough observation of the current junior football landscape, he founded Brilliant Football with a genuine desire to offer a revolutionary program for developing young footballers in Canberra. Talal holds a current FFA/AFC B Licence and has worked with several clubs in Australia, at junior and senior levels. From Nov 2015 to Apr 2017, Talal has held the position of Technical Director at Canberra FC. In Nov 2017, Talal was appointed as U16 NPL Head Coach at Belconnen United FC for the 2018 season. BUFC has won all three senior NPL Grand Finals in the 2017 season; U18, U20 & 1st Grade. In Sep 2018, Talal was appointed as the U20 NPL1 Head Coach at Tigers FC and has assisted the club to build its Youth NPL 13, 14, 16 & 18 teams. Talal is also a registered Football Agent with Football Federation Australia. Tony is one of Canberra’s most well-respected junior football development experts. He brings in a wealth of knowledge and experience having held several prominent coaching roles in Canberra over the past 30 years. His coaching career highlights include being current Head Coach of the ACT U12 School boys and current Assistant Coach/Manager of the Australian U16 School Boys teams, only to name a few. 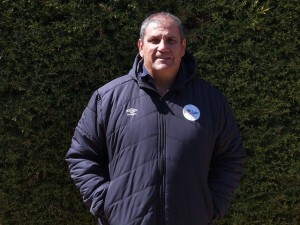 Tony was fortunate to be a Liaison Officer for several international teams including the Spanish Olympic squad during the 2000 Sydney Olympics; some of that team’s players went on to become World Champions in 2010. One of Tony’s recent achievements was to win the NPL14 Boys Minor Premiership and Grand Final in September 2018 with Belconnen United FC. 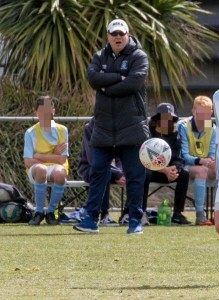 In Sep 2018, Tony was appointed as Technical Director at Tigers FC, a leading club in the NPL1 competition, and has assisted the club to build its Youth NPL 13, 14, 16 & 18 teams. Tony has attended his B Licence course in October 2018.